Dr. Mango accepts the following list of insurance providers. Select your insurance provider to see more details. I am a board-certified radiologist with expertise in breast imaging. I have been practicing radiology for more than five years and have been at MSK since 2016. My goal is to provide the best care to people with cancer. I am sincerely passionate about eliminating disparities in breast cancer screening, diagnosis, and treatment in underserved populations. I focus on global breast imaging research and education through the MSK Global Cancer Disparities Initiative, the Society of Breast Imaging Education Outreach Committee, and RAD-AID International, a nonprofit organization that seeks to bring radiology services to underserved areas of the world. These programs provide educational opportunities for radiologists and technologists to increase access to breast imaging, improve image quality, and further develop their skills. 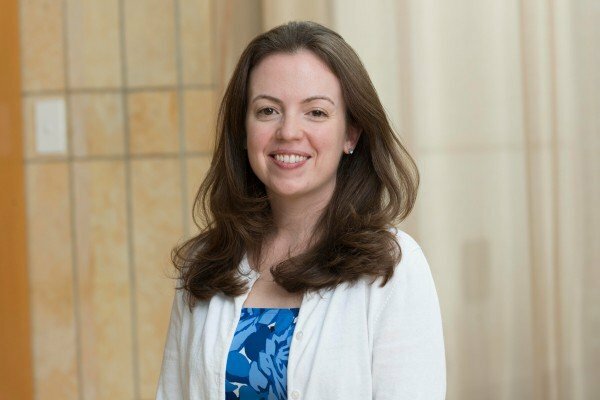 I also serve as Co-Director of the Breast Imaging Fellowship and have a particular interest in teaching breast imaging fellows and radiology residents. Working at MSK allows me to help people through difficult times in their lives. I work with an outstanding team of doctors and provide invaluable input on diagnosis, treatment, and follow up. I am an investigator on several clinical trials. My research focuses on developing and evaluating novel approaches to breast cancer imaging with an emphasis on global clinical impact and resource efficiency. My goal is to develop methods to continually improve our ability to detect and diagnose breast cancer at early stages. Specifically, my research focuses on using nonradioactive technology to find breast tumors before surgery. I am also looking for ways to make breast MRI more accessible. I have investigated quality improvement initiatives abroad to measure the impact that education has on mammography quality. I am a fellow in the Society of Breast Imaging in recognition of my substantial contributions and service to the field of breast imaging. Mango VL, Morris EA, David Dershaw DD, Abramson A, Fry C, Moskowitz CS, Hughes M, Kaplan J, Jochelson MS. Abbreviated protocol for breast MRI: are multiple sequences needed for cancer detection? Eur J Radiol. 2015; 84(1):65-70. Mango VL, Kaplan J, Sung JS, Moskowitz CS, Dershaw DD, Morris EA. Breast carcinoma in augmented patients: MRI findings. AJR Am J Roentgenol 2015; 204(5):W599-604. Mango VL, Ha R, Nguyen B, Mema E, Kobeski J, Singh T, Khandelwal N. RAD-AID Asha Jyoti Mammogram Quality Assessment in India: Optimizing Mobile Radiology. J Am Coll Radiol. 2016; [Epub ahead of print]. Mango VL, Ha R, Gomberawalla A, Wynn R, Feldman S. Evaluation of the Savi Scout Surgical Guidance System for the localization and excision of non-palpable breast lesions: A feasibility study. Am J Roengtenol W1-W4. Visit PubMed for a full listing of Dr. Mango’s journal articles. Pubmed is an online index of research papers and other articles from the US National Library of Medicine and the National Institutes of Health.